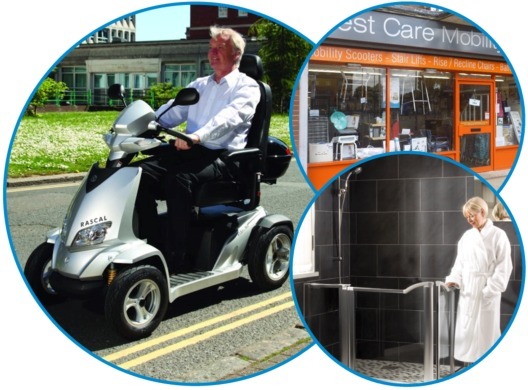 Best Care Mobility are a family run business, based in Pelsall, Walsall and offer a comprehensive range of mobility products to elderly and disabled people of all levels of ability and pride ourselves on offering a personal, professional and friendly service at realistic prices. We invite people to come and browse our fully stocked, extensive showroom to discover how we can help you lead a better quality of life, whilst allowing all our customers to test drive our products and get a true feel of how they work. Our staff are discreet and offer a very approachable customer experience, being experienced to answer any questions you may have, whilst offering a choice of solutions to suit everyone’s budget. Visit Our Showroom with Fully Experienced Staff and FREE Parking!